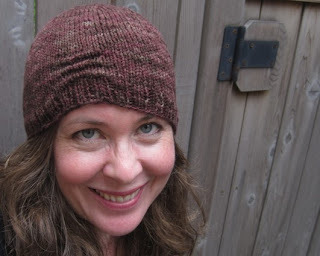 I've learned a lot about chemo hats over the past year or so since people have been writing me about the ones I've designed, but the thing that stays with me the most is the fact that your hair helps keep your head warm when you're sleeping. This had never occurred to me. When your hair is gone, you get cold, and it's just not cosy or even easy to sleep. The solution is a sleep cap. I've seen many versions of these, and what they all have in common is being Not Lumpy, because who wants to turn over onto a whomping huge cable? But none of the ones I saw really made me think of my very hip friend who is starting chemo soon, so I designed this hat for her using an unfortunately out-of-circulation colourway in Playful from Twisted Fiber Art. My idea was to keep it super plain on all sides, just letting the hand-dyed semisolid yarn be beautiful like her, and putting a little something onto the front for personality. I decided on three ridges of seven stitches each, for luck - don't worry, it's not a hard maneuver - and knit my way up to the crown in no time. Once I got it on and saw the angle those ridges make, well. All I could think of was my big brother teaching the eight-year-old me to raise my eyebrow. Anyway I had to name this hat for Bob. And I think I have to make one for myself even though I have hair because you know what? 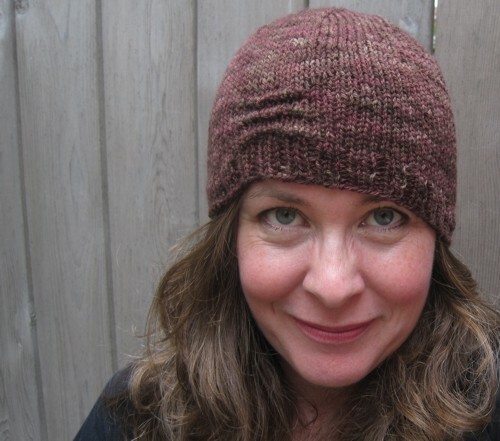 It looks to me like a pretty awesome snow-day hat. Hope you enjoy it too, if you make one. I love your little Bobcap. My Mom who lost her hair to chemo often mentioned her cold head at night. So thanks for this. Love the hat but the file is broken. Can't get the pattern. I love the hat to but where is the pattern? Sure would like to make it. Technically the pattern is at the 'view .pdf...' link at the bottom of the posting Reta, but I'll e-mail you a copy! What other yarn would use suggest. 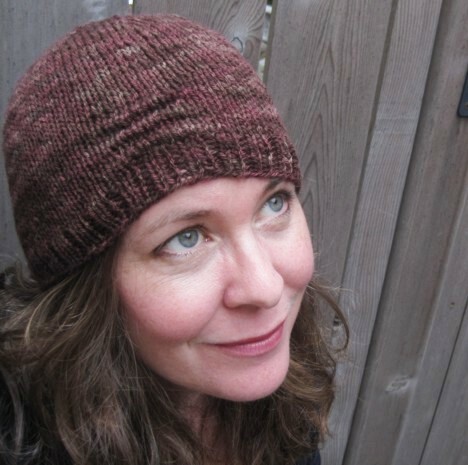 I can't afford the custom spun yarn that you used, but I would love to make this cute hat. Thank you! 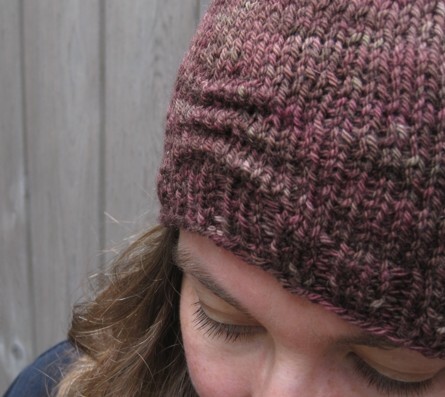 You can substitute any sport weight yarn for this pattern nicely - I would stick with a wool for maximum stretchiness, as other fibers will either hold firm or sag out. There's lots of yummy sport weight out there so have fun! Oh I love your patterns thank you so much for sharing.